Discussion in 'iPhone and iPad Games' started by metalcasket, Jul 12, 2016. 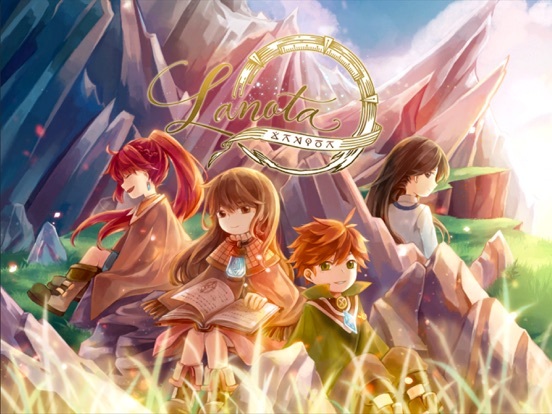 I purchased Lanota and I played for about 55 minutes. If you are a fan of rhythm games, this one is spectacular. There is only one optional $3.99 in app purchase which opens up the rest of the song content which seems to be about half the game. One hundred GC achievement points as well as numerous leaderboards. There are no energy timers, no ads, etc. The gameplay and controls are spot on. You can get three different ratings after each beat: Harmony, tune, and fail. The highest rating you can get in a song is an L. You can achieve perfection purified but that's if you don't lose any combos and you get all "harmonys." It took me awhile to master the first song on easy, but again the controls are perfect. For each song there are 3 different difficulty levels. The story isn't really necessary. 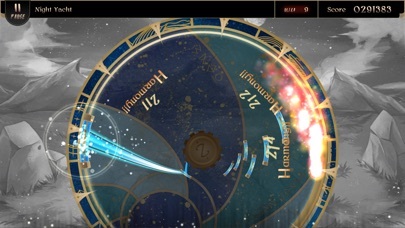 The detail of polish that went into Lanota is astounding, including graphics, sounds, production values, etc.. If you enjoy rhythm games that have been produced by Rayark, this one is a no brainer. The tutorial explains it all, and to see the actual gameplay, someone will probably post it here. This is the type of game that rhythm lovers should support. Quite a tiny price to be pId for such an excellent premium package. It is pretty cool. Here is the first few levels gameplay. 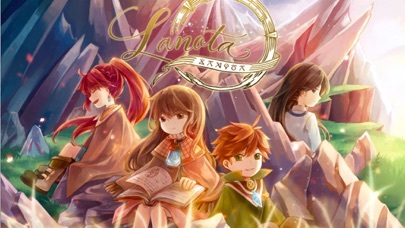 Better than expected...and I was damn hyped about Lanota! Very nice spot between Deemo (story&atmosphere) and Cytus (great gameplay). Do you want feel maximum fairy tale out of this game? 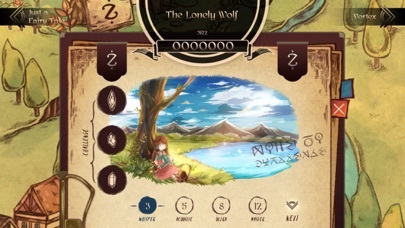 Play "The Lonely Wolf"...pure bliss! 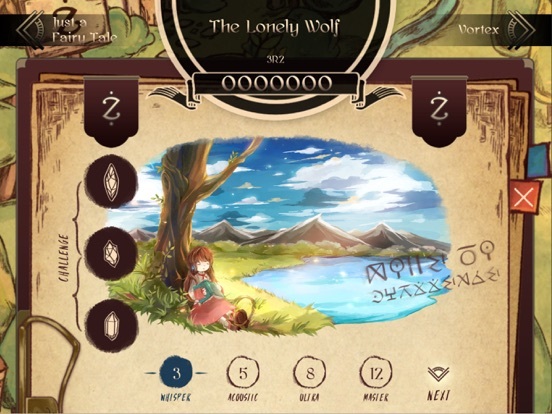 really happy to know that Lanota is enjoyed by players! I got this. for great fun & art. but I would like to see the story pic when i was playing music circle. It is a little monotonous to focus on the circle right now. but that might be too bothering if you do that. Watched the gameplay video -- this is REALLY beautiful and sounds fantastic. I'm tempted. Although I also have Deemo and have played it only two or three times, bought Lost in Harmony and still haven't played it -- I'm bad about that. One of the producers, 3R2, is an amazing talent and a guy I follow on Facebook. Heard about this game there. Will have to check it out! Hi thank you for bringing this up! And voila! you can see through the Notalium tuner a.k.a. plate at the transparency/opacity you've set. Tip: tap on the title of each option to see corresponding description! As always, more suggestions, feedback and reviews are welcomed! Thanks a lot to Noxy Games for such a wonderful experience I got! I'll definitely support the game by buying anything and telling anyone to try it! 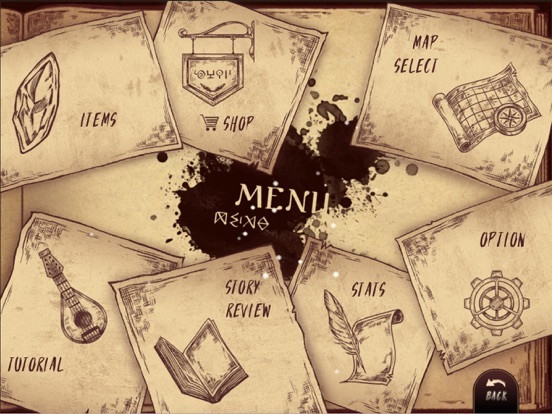 In fact, the gameplay is much more interesting and challenging than in Deemo, the music is brilliant and pleasant for demanding ears. Moreover the gameplay is SMOOTH, I still use ipad mini 1st gen (I'm so old school ) so it's really important. Hi thanks for your feedback! For the soundtrack album, we are already discussing but there's yet a determined date for it's release. Will announce on our website and via official social media channels when we're ready! Seems intriguing but my back log of games is waaaay to much for now. Glad to see independent developers out of Taiwan and wish you well with this game! I'll hopefully get it on the future. This is mainly for the players who consider their devices have visual-audio latency issue, and we add the detailed page because we did receive several feedback asking for this. >> We decided to adjust something about note mechanical in the to make it better. >> The programmers did some tricks. They fixed bugs that I didn't even know they existed. The 1.0.1 update is already available on the iTunes App Store. Should be fine, but if any problems occurred, let me know and I'll see if I can help (or more works should be done in the next update). Thanks! 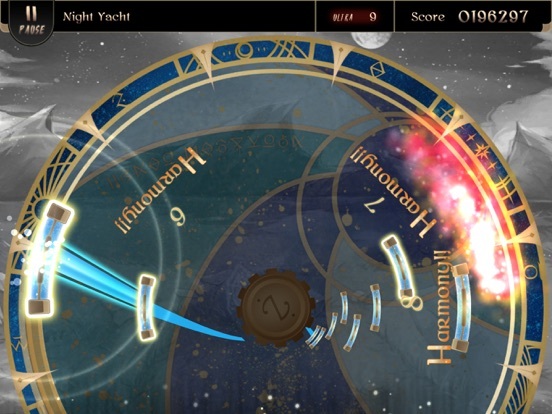 It's me again, one of the developers of Lanota. 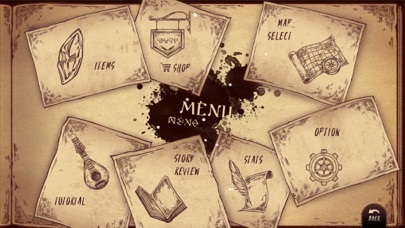 The update includes the contents of a new chapter: Main story chapter II Dissonance in the Farm Village which continues from the end of Main story chapter 1, cloud save feature, new difficulty "Master" and reassigned the difficulty numbers for each chart. 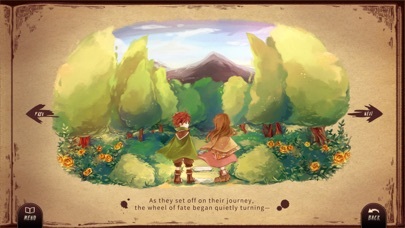 For players that enjoyed the rhythm game and story in the debut release (see official Touch Arcade review here), they will not be disappointed by the new chapter: Dissonance in the Farm Village in which Fisica and Ritmo arrives at a mysterious village with windmill, greenhouse, water wheel and garden maze; the mystery will be left for the players to uncover. The cloud save feature is for players who want to store their progress on iCloud (if there's anyone using an android device reading this, that would be Google Play Service in your case). A new difficulty Master is also added, and the charts will be renumbered into 1 to 15 instead of the previous 1 to 10, to give the players a clearer indication about different difficulties between charts. We added a new chart for each stage for the existing chapters, although not necessarily in difficulty Whisper, Acoustic, Ultra or Master; this is for the level design and balancing of the game. As usual, feel free to ask any questions and leave any thoughts! I didn't pick this up at launch only because I was worried it might be too difficult. So glad I picked it up now. I've only played the prologue, but this is the first game I've seen since Ouendan/Elite Beat Agents (aside from Guitar Hero and Rock Band) that actually gives you the sense that you are performing with the music rather than just tapping a bunch of buttons. For me, that's what games like this should be about, not simply tests of reflexes. Gorgeous visuals. Beautiful music. Just wonderful. My only nitpick is that the camera movements when manipulating the wheel (e.g. Zooming in and out) could be smoother. The feel a bit jerky at times, especially when moving short distances. Hasn't made me nauseous, though, so it isn't awful. it seems to be back now, and should continue to be 0.99 USD to download for the following hours. Really sorry about that! Hello! I just started playing this a few days ago, and I absolutely love it! I'm just getting into rhythm games, this is my second after Cytus. The story does not end at Main story Ch. 2, and Main Story Ch. 3 is already under development. 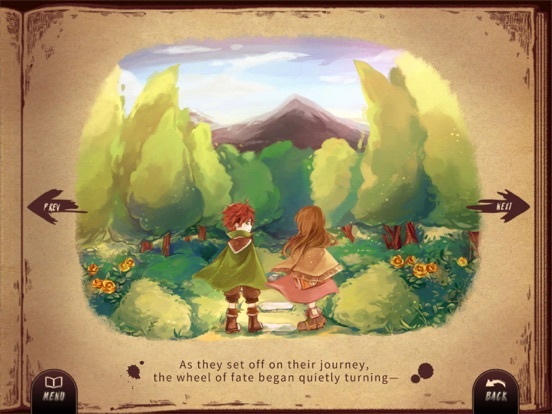 Before that is finished, we will release an update soon containing Side Story Ch. 2 and Expansion chapters; and by "soon" I mean within January. Follow us on Facebook or Twitter for announcements!